The 1979 NHL Entry Draft took place on August 9, 1979, at the Queen Elizabeth Hotel in Montreal, Quebec. The National Hockey League (NHL) teams selected 126 players eligible for entry into professional ranks, in the reverse order of the 1978–79 NHL season and playoff standings. The draft was the first to be conducted after the NHL-WHA merger. As part of the terms of the merger, the four former WHA teams had joined the NHL on the condition that they be placed at the bottom of the draft order, as opposed to the top of the order as is usually the case for expansion teams. The Western Canada Hockey League (WCHL), founded in 1921, was a major professional ice hockey league originally based in the prairies of Canada. It was renamed the Western Hockey League (WHL) in 1925 and disbanded in 1926. 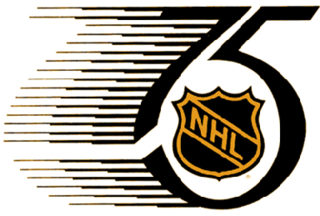 The National Hockey League (NHL) undertook a major expansion for the 1967–68 season. Six new franchises were added to double the size of the league, making this expansion the largest ever undertaken at one time by an established major sports league. The expansion marked the first change in the composition of the league since 1942, thereby ending the era of the Original Six. 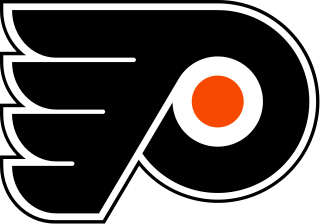 The Philadelphia Blazers were an ice hockey franchise in the World Hockey Association (WHA) for the 1972–73 WHA season based in Philadelphia, Pennsylvania, United States. The team's home ice was the Philadelphia Convention Hall and Civic Center. The Toronto Toros were an ice hockey team based in Toronto, Ontario that played in the World Hockey Association from 1973 to 1976. Long time NHL President Clarence Campbell was fiercely opposed to any union between the two leagues, saying, "They're our rivals. They were people that did their best to destroy us. Why would we salvage them now? To hell with them." Despite this animosity, some NHL teams agreed to play preseason exhibition games against WHA opponents prior to the 1974–75 season. Campbell ordered this interleague play halted in 1975, but the following year, the NHL president (who by this time was facing both declining health and personal scandal) relented and interleague exhibition games resumed, although a few NHL clubs, including Montreal and Toronto, continued to boycott them. The five teams that cast a "no" ballot did so for different reasons. The Bruins were not pleased with the prospect of sharing New England with the Whalers, while the Canadiens were even less enamored with having to share the province of Quebec with the Nordiques. The Canadiens, Canucks, and Maple Leafs disliked the idea of having to split Hockey Night in Canada revenues six ways rather than three, while the Canucks and Kings feared the loss of dates with NHL teams from the east. Maple Leafs' owner Ballard had a personal grudge as well; he had never forgiven the WHA for plundering his roster in the early 1970s. The agreement resulted in the Oilers, Whalers, Nordiques, and Jets joining the NHL for the 1979–80 NHL season. However, the NHL insisted on treating the WHA teams' arrival as an expansion, not a merger. The WHA teams each had to pay a $6 million franchise fee for the right to enter the NHL  – however, since this was nominally the same fee paid by all of the other teams that joined the NHL in the 1970s (a decade of high inflation), the financial terms of the agreement were nominally quite favorable to the WHA although some of the teams that joined earlier in the decade received concessions on their fees. The two remaining WHA teams, the Stingers and Bulls, were paid $1.5 million apiece in parachute payments and joined the Central Hockey League, the league-owned minor league, for one season each. The Stingers folded after 33 games; the Bulls played two full seasons before folding. The NHL has never returned to Cincinnati or Birmingham, though it did place teams in the nearby markets of Columbus and Nashville in the late 1990s. Although the WHA clubs had performed quite well against their NHL rivals in pre-merger exhibition games (of 63 such games played, the WHA won 34, lost 22 and tied 7)  they were nevertheless expected to struggle on the ice after the merger due to the purging of their rosters. However, the NHL also expanded the Stanley Cup playoffs from 12 teams to 16. This allowed the Whalers and Oilers to qualify for the playoffs in their first post-merger season although both teams were swept in the first round. The following year, the Oilers became the first former WHA team to win a playoff series when they swept the heavily favoured Canadiens. In its search for talent, the WHA turned to the previously overlooked European market, signing players from Finland and Sweden. Anders Hedberg, Lars-Erik Sjoberg, and Ulf Nilsson signed with the Jets in 1974 and thrived in North America, both in the WHA and later the NHL. The Jets won three of the six remaining WHA championships after signing European players, and their success sparked similar signings league-wide. Many of these players went on to NHL careers. The 1982–83 NHL season was the 66th season of the National Hockey League. The New York Islanders won their fourth Stanley Cup in a row with their second consecutive finals sweep by beating the Edmonton Oilers four games to none. No team in any major professional North American sport has won four consecutive playoff championships since. 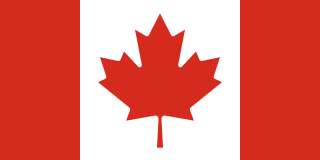 The 1978–79 WHA season was the seventh and final season of the World Hockey Association (WHA). 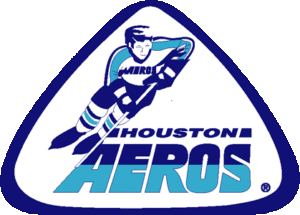 Prior to the start of the season, the Houston Aeros folded leaving seven teams to start the season. 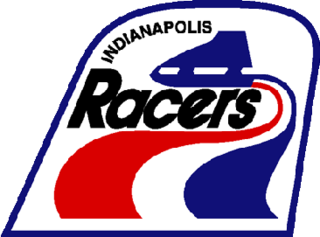 Only six would finish however, as the Indianapolis Racers folded after 25 games on December 15, 1978. The remaining six teams each played 80 games, including one game each per team against a Soviet All-Star squad and the Czechoslovakian National Team, the second consecutive year for this arrangement. The Soviet team won four of their six games and tied another; the Czech team only won once and tied once against four losses. In addition, because the Racers had folded after playing an odd number of games, the Edmonton Oilers played the Finnish National Team once at home so as to allow each of the six surviving WHA teams to play 80 regular season games. The Oilers won by a score of 8-4, a result which in itself made no difference by the end of the regular season which Edmonton won by an eleven point margin over the Quebec Nordiques. The 1977–78 WHA season was the sixth season of the World Hockey Association (WHA). Eight teams played 80 games each. The Avco World Trophy winner was the Winnipeg Jets. John Augustus Ziegler Jr. was an American lawyer and ice hockey executive. Upon succeeding Clarence Campbell in 1977, he became the fourth president of the National Hockey League. Ziegler served as league president through 1992. His 15-year term was marked by the 1979 merger that integrated four teams from the rival World Hockey Association into the NHL, and by increasing labour unrest among the players. The first American to serve as chief executive of the NHL, he received the Lester Patrick Trophy in 1984 and was inducted into the Hockey Hall of Fame in 1987. The 1979–80 Winnipeg Jets season was the franchise's eighth season since its inception in 1972, and its first season in the National Hockey League. The 1979–80 Quebec Nordiques season was the Nordiques eighth season overall, however, it marked as their expansion season in the National Hockey League. Quebec had played their previous seven seasons in the now defunct World Hockey Association. In 1978–79, their last season in the WHA, Quebec finished the year with the second best record, as they had a 41-34-5 record, earning 87 points. The Nordiques were then swept by the Winnipeg Jets in the WHA semi-finals. In the NHL, the team finished out of the playoffs. The expansion era of the National Hockey League (NHL) began when six new teams were added for the 1967–68 season, ending the Original Six era. 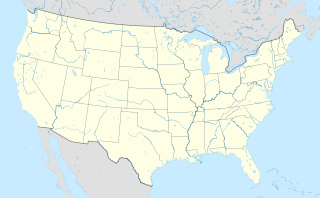 The six existing teams were grouped into the newly created East Division, and the expansion teams—the Los Angeles Kings, Minnesota North Stars, Oakland Seals, Philadelphia Flyers, Pittsburgh Penguins and St. Louis Blues—formed the West Division. The World Hockey Association General Player Draft was held over the course of two days, February 12 and February 13, 1972, in Anaheim, California. The purpose of the draft was to establish an orderly process through which WHA teams would stock their rosters by the beginning of their inaugural season later that year. As such, players from other professional teams were eligible to be drafted. The draftees were not under any legal obligation to sign with the drafting WHA club: other WHA clubs were prevented from negotiating with the players who had been drafted. The National Hockey League (NHL) has undergone several rounds of expansion and other organizational changes during its 100-year history to reach its current thirty-one teams: twenty-four in the United States, and seven in Canada. The league is in the process of a two-team expansion, which added the Vegas Golden Knights in 2017 and an as-yet unnamed Seattle NHL team set to begin play in 2021, at which point the league will have thirty-two teams. The league's most recent relocation was in 2011, when the former Atlanta Thrashers relocated to become the second and current incarnation of the Winnipeg Jets. Since being founded in 1917, the National Hockey League (NHL), which in its first two seasons started out as a three-team league and eventually grew to thirty-one in its current state, has expanded and contracted numerous times throughout its history. The following is a complete history of organizational changes in the NHL. The Battle of Quebec is a former National Hockey League (NHL) rivalry between the Montreal Canadiens and Quebec Nordiques. The rivalry lasted from 1979–80 to 1994–95. The teams played against each other five times in the NHL playoffs, and the Canadiens won three of the series. One meeting in 1984 resulted in the Good Friday Massacre, a game in which multiple brawls happened. The Battle of Quebec extended to politics, in which the Canadiens and Nordiques became symbols for rival parties, and beer distribution, as the teams were both owned by competing breweries. ↑ Diamond, Dan (1991). The Official National Hockey League 75th Anniversary Commemorative Book. McClelland & Stewart. p. 74. ISBN 0-7710-6727-5. ↑ Pincus, Arthur (2006). The Official Illustrated NHL History. Readers Digest. p. 113. ISBN 0-88850-800-X. ↑ Boer, Peter (2006). The Calgary Flames. Overtime Books. p. 13. ISBN 1-897277-07-5. ↑ "'To he** with them; let them die on vine'". Calgary Herald. June 2, 1977. p. 58. ↑ "Expansion, merger, accommodation — whatever". Calgary Herald. June 25, 1977. p. 41. ↑ Gammons, Peter (October 17, 1977). "Quebec just hopes it will have a league to play in". Sports Illustrated. Retrieved April 15, 2009. 1 2 3 4 5 6 7 Hunter, Douglas (1997). Champions: The Illustrated History of Hockey's Greatest Dynasties. Chicago: Triumph Books. ISBN 1-57243-213-6. ↑ "Franchise fees reduced". Associated Press . March 2, 1977. Retrieved May 9, 2014. ↑ Davis, Reyn (May 28, 1979). "A Nowhere Ride". Sports Illustrated. Retrieved April 15, 2009. ↑ Oler, Van (July 8, 2008). "Golden Guts". Chicago Blackhawks Hockey Club. Retrieved April 15, 2009.